Teams at BOV Training Centre and BOV Ethics and Employee Development Unit. The BOV Training Centre is an integral part of the bank’s strategy to invest in human capital by providing professional training programmes. Its main goal is to develop employees’ skills, improve their retention and address business and regulatory exigencies in an increasingly demanding and rigorous regulatory landscape. The training centre caters for three major technical areas – credit, investments and the newly introduced risk and regulation. These assessment-based programmes are primarily designed to provide knowledge about core banking, as well as risk and regulation knowledge at various levels, starting from foundation and moving up to more advanced tiers. Only recently, the bank has been licensed as a Higher Education Institution with the National Commission for Further and Higher Education. So far, two MQF Level 5 qualifications have been accredited – Award in Management and Leadership and Award in Managing Customer Excellence. Through its training centre, the bank has also stepped up its efforts to provide bespoke and specialised training programmes to its management team with the aim of enhancing their skills, competencies and expertise on selected topics. Internally developed training programmes are blended with available external training opportunities so as to broaden associates’ existing skill sets, while bringing in new ways of thinking and problem-solving. To this end, the BOV Training Centre is also enhancing its eLearning platform, intended to give employees the opportunity to develop themselves further, both at the workplace and in the comfort of their home. Meanwhile, the bank actively encourages its employees to continuously seek self-development, offering assistance by way of grants, subsidised study loans and study leave. As part of an ongoing drive to maintain its leading edge, BOV is also embarking on a Core Banking Transformation programme. Inevitably, the training centre is supporting the introduction of this new IT system, which will serve as a catalyst to transform the customer relationship management process and enhance customer experience. Furthermore, the bank is advocating strong work ethics through gradual and ongoing training to equip employees with the necessary knowledge and skills to promote an ethics-driven culture across the organisation. The bank’s recertification with the Equality Mark by the National Commission for the Promotion of Equality confirms its commitment towards its corporate responsibility and high governance standards within its HR function. This unit falls within the remit of the bank’s Ethics and Employee Development Centre. The commission has awarded BOV this certification based on evidence of the organisation’s true commitment to implement relevant policies and practices that concern gender equality and family-friendly measures at the place of work. Training and personal development programmes continue to feature prominently and consistently on the bank’s training agenda. 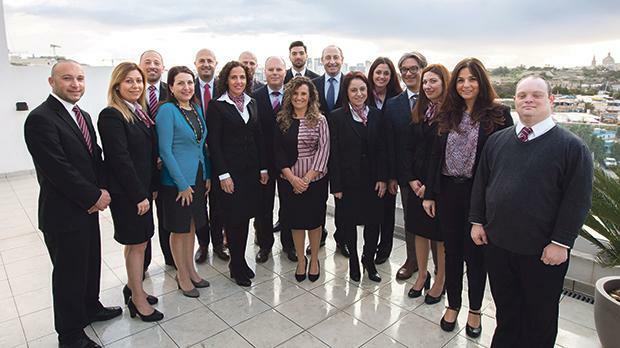 Bank of Valletta remains committed to keep supporting its employees both professionally and academically. The bank’s Training Centre remains an important platform for developing employees, while ensuring they are abreast with the ever-increasing demands of the financial services world, vis-à-vis both its core business operations as well as its regulatory affairs. Anthony Scicluna is chief officer, Ethics and Employment Development, at Bank of Valletta.